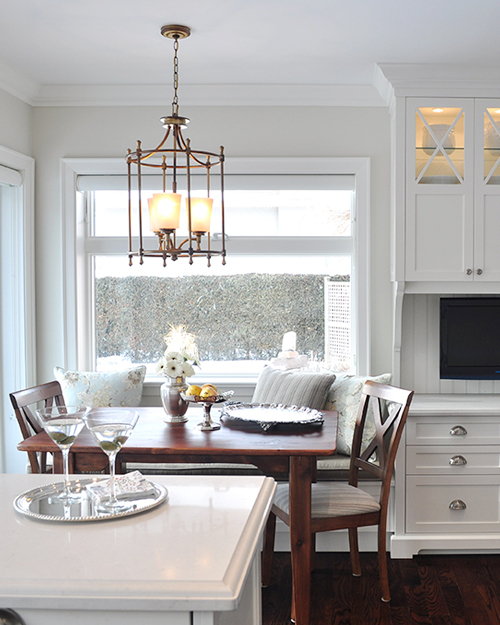 This bungalow was transformed with a new eat-in kitchen, living room, and dining room layout. 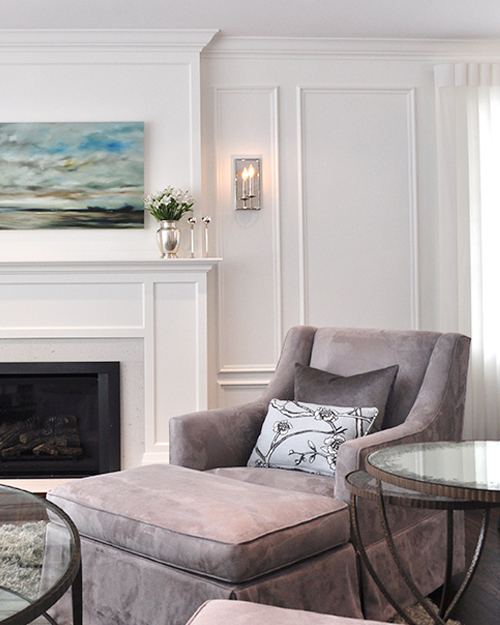 Architectural features, such as applied wall panelling, were added to create interest and a custom look. 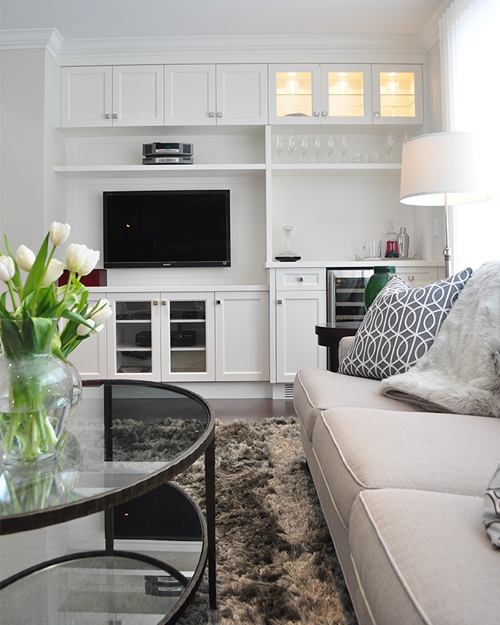 A new gas fireplace & built-in bar with entertainment area create the perfect living room for entertaining. The new built-in banquette in the kitchen is flanked with windows, providing a lovely view to the back yard!